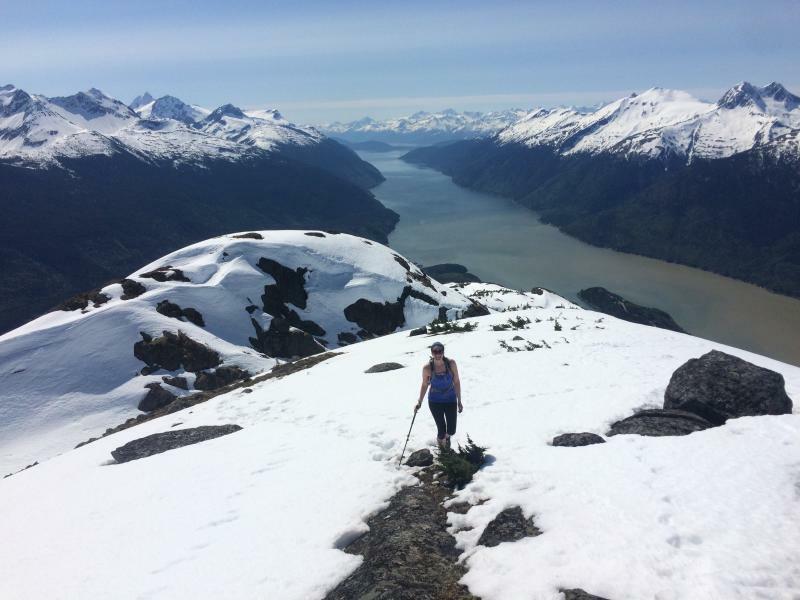 The steep trail up to AB Mountain gives you the best of both worlds - ocean and mountain views. 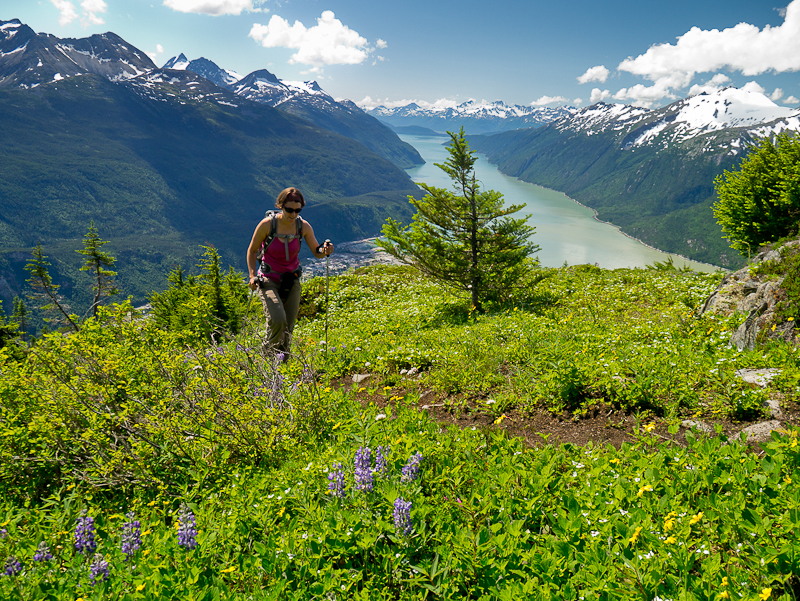 The jaw dropping, 360 degree views of Taiya Inlet, Dyea, the town of Skagway, and the numerous peaks and glaciers won't disappoint you. 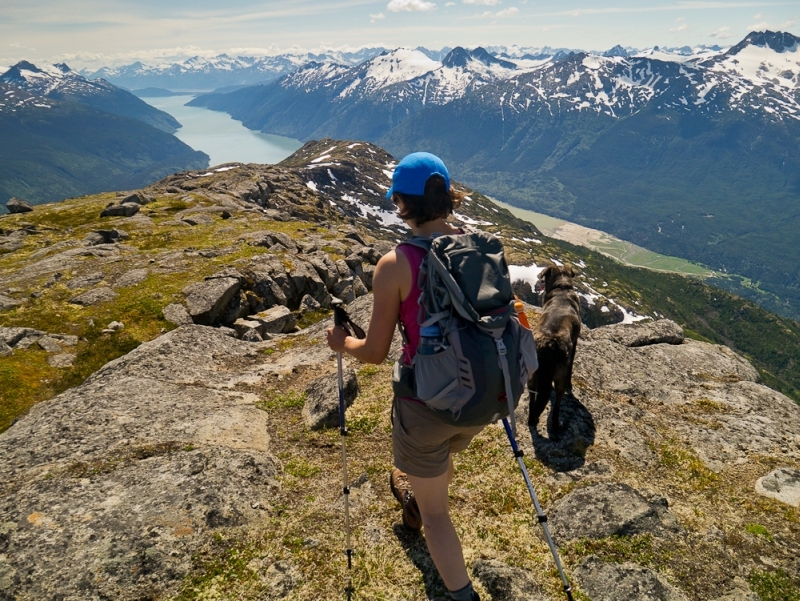 You can choose to go as far as you like, either to the first viewpoint (10.6 km return), the second (12.2 km return) or even to the summit (17.4 km return) depending on the amount of time and energy you have. 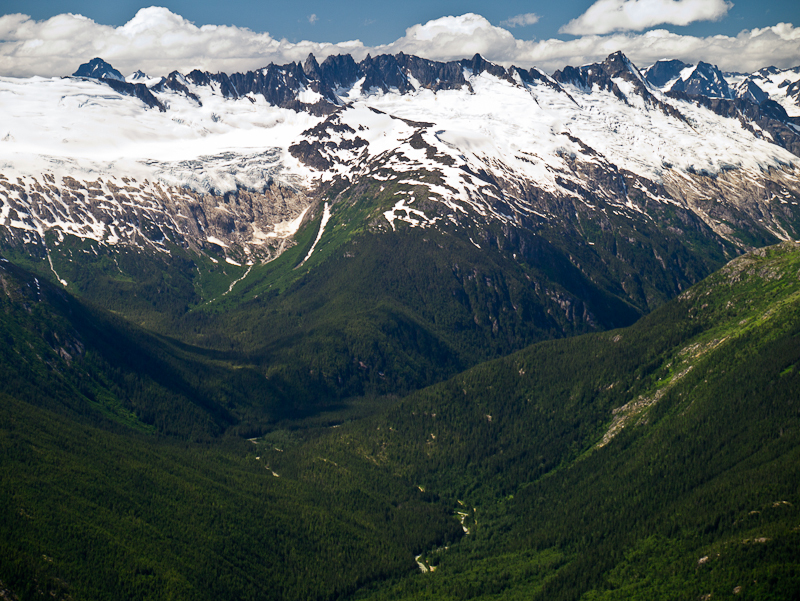 Drive south on the South Klondike Highway from Whitehorse to Skagway, Alaska. Approximately 7 km after crossing through the US Customs (bring your passports! ), turn off the highway to the right onto the Dyea Road. Drive for another 3 km until you reach a small pullout on the left and a trail sign and trail on the right. This is the parking area and trailhead for the AB Mountain hike (also known as the Skyline Trail). AB stands for Arctic Brotherhood, a fraternal organization formed during the gold rush in 1899. 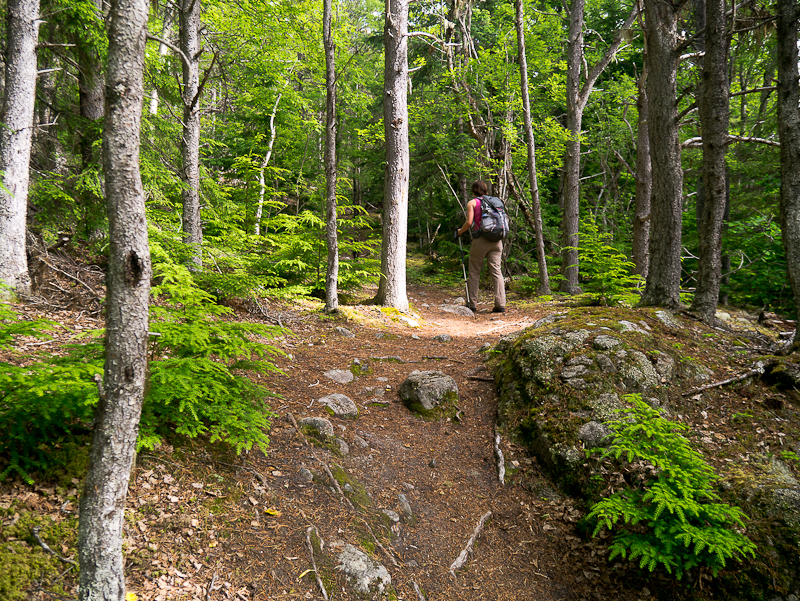 The trail is wide and well maintained for the first part of the route, passing through beautiful birch and hemlock forests. The elevation gain is very gradual for the first 3.5 km and then the trail starts to really climb, becoming much steeper and more overgrown. You will need to use your hands in some spots to climb up, and there is one part with a rope to help you along a section of slippery rock (test your weight on the rope before climbing). 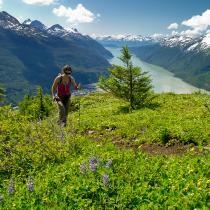 You will reach the first viewpoint after 5.3 km once the trail gets above treeline (1,175 m elevation gain). After this the trail levels out and the elevation gain is much more gradual. Note the trail can become less defined in some areas once in the alpine, so do your best to stick to the main trail wherever you can. From the first viewpoint you can continue another 800 m to a second viewpoint a little higher up. 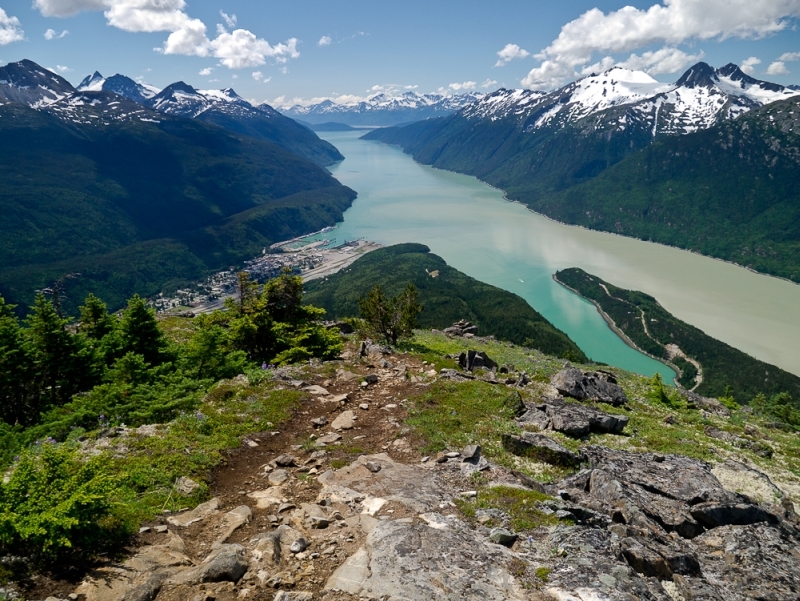 The views from the second viewpoint are pretty spectacular with Taiya Inlet, Dyea, Skagway and the many surrounding peaks and glaciers. The true summit is 2.6 km further and another 300 m up along the ridge. There are a few ups and downs along the ridge so it can be easier to traverse along the east side (right side) of the ridge and then up to the summit. 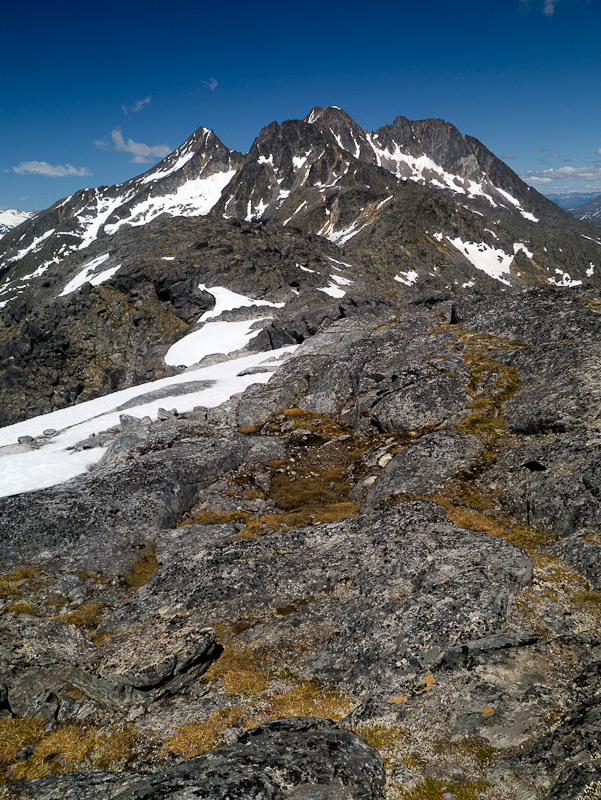 The views are pretty similar from any of the three options along the ridge, aside from getting a closer look at the rocky spires of Mount Clifford from the main summit. Have you been to AB Mountain lately? Did This Hike June 4, 2018. Unfortunately clouds rolled in when we reached the first viewpoint so the view was obscured. It was a very challenging hike, Took us about 4 hours to do the 10 km. The Trail was easy to follow though and was well marked. Hi, I HAVE not been to the Yukon yet, but going end of June - wondering if the trails listed on this website are well marked? 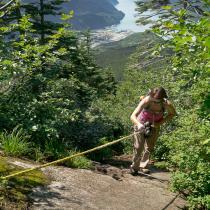 We are avid hikers, but this time we will have our infant daughter with us! She'll be 5 months - we are sticking to some shorter, easier routes of course. Hard but worth it! We did the climb in 2 hours and took 2 more hours to go back down. It was pretty muddy in some spots which was fine going up but going down it was quiet slippery. I recommend having shoes with good traction. I wore regular runners and had no issues other than the mud coming down. I was surprised to run into about 6 other groups along the way. I brought my two year old German Shepherd and she did great as well! Highly recommended. We hiked for about 2.5 hours this last Saturday (May 27, 2017). 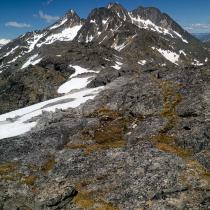 Didn't get up above tree line, but still really loved the hike. What was very surprising however was that there were three "groups" of bikes - one pair coming down and then two singles going up. It was startling to image them biking any direction. Just a quick response to K. Sparky Russell below. Hard to say what the bugs might be like - it depends on when in May you're here, and what the spring is like. Having said that, I can't ever remember bugs really being an issue for us planning any hiking or paddling, so I wouldn't worry about them. Although this site attracts lots of views, it isn't a very active site as far as discussions. If you're on Facebook try posting on the Paddling in Yukon page - lots of activity, and most people who paddle also hike/climb so you might have better luck with responses.
. what are the insects like?
. 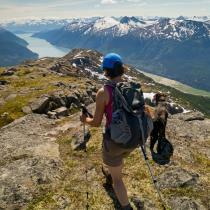 who to contact for climbing, hiking, paddling? 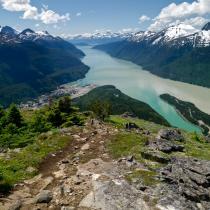 Hiked A.B Mt on Sat Oct 1 in the a.m to the 2nd viewpoint at about 1250m. 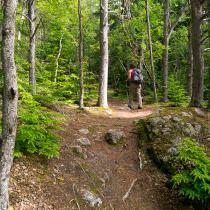 Great trail, a couple of steeper/overgrown sections & tons of blueberry bushes. Amazing scenery... Must do! I am interested in hiking just for one day. I will be in Dawson city on August 31 and September 1 or September 5. If you know any group or anyone interested in hiking on the days mentioned here. Please contact me. Facebook: Dulciano Camargo ( Toronto). Great conditions right now on AB Mountain. Start early so you don't end up postholing all the way down. Hiked the AB mountain on September 19th 2015. 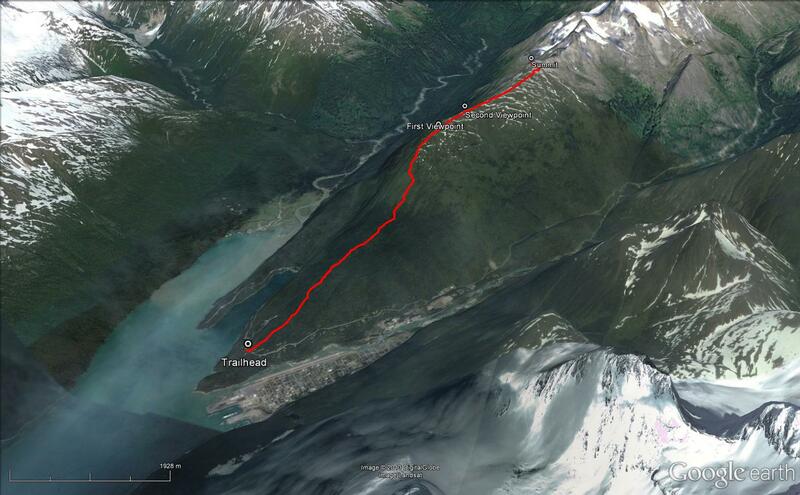 The trailhead is on the right side if you're coming from Skagway going towards Dyea. Can be easy to miss so just keep your eyes open.. The first 5 KM of the trail is like any other trail, well marked and well developed. When you start doing your ascent and getting out of the forest to enter the alpine, it would be a good idea to bring flags or markers so you know how to get back... It is really dense and the bushes kinda close up behind you, and everyone seemed to take a different way down than the way up... 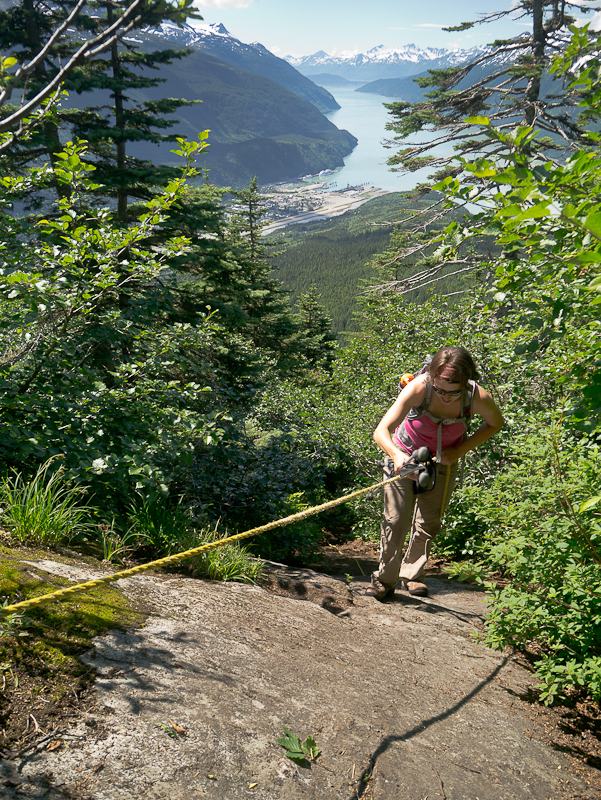 If you make it to the top after this steep section, the views are great of the Lynn channel and Dyea, Skagway areas.. Would recommend to anyone, just be prepared for a good workout, pack a lunch.. Beautiful views of glaciers as well. We hiked AB on July 4th. It was spectacular! Beautiful weather and stunning views. Stopped around the second view point. 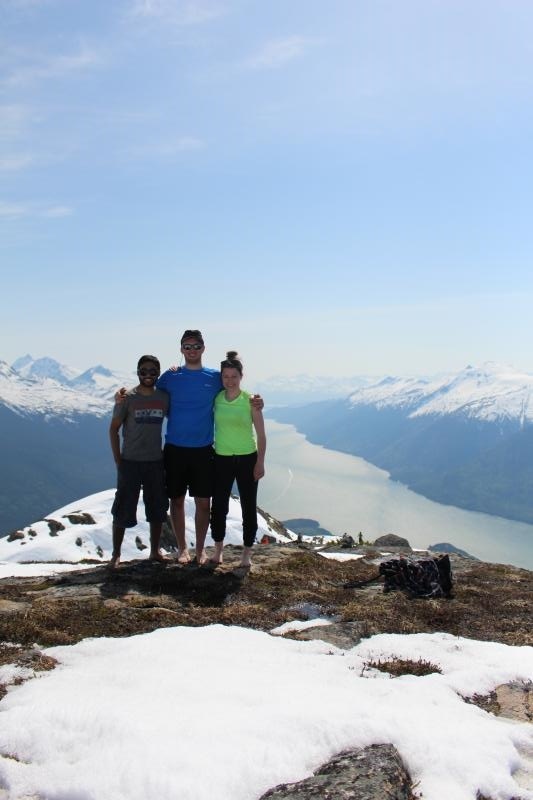 It was hot in Skagway on the May long weekend. We hiked up AB Mountain in full sun. 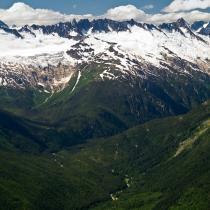 We encountered snow in the alpine around the first view point and stopped there. 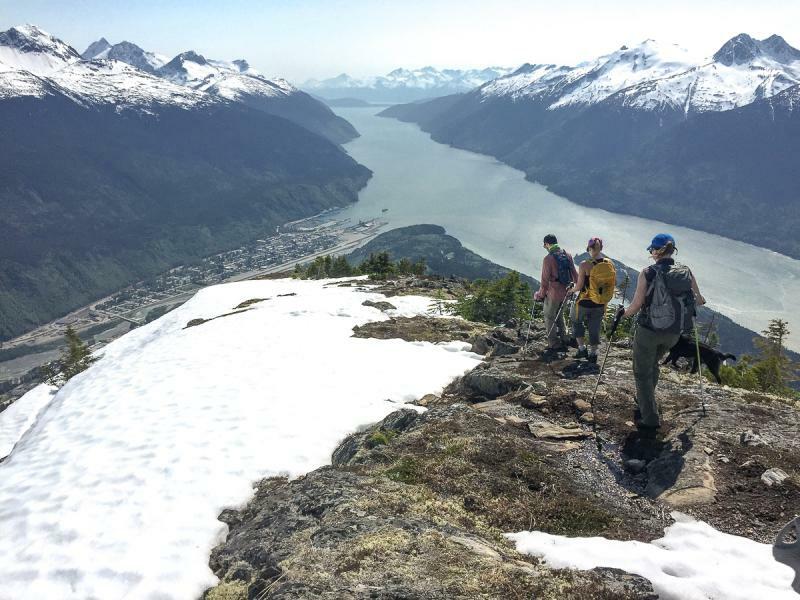 However, other hikers were continuing on higher up.